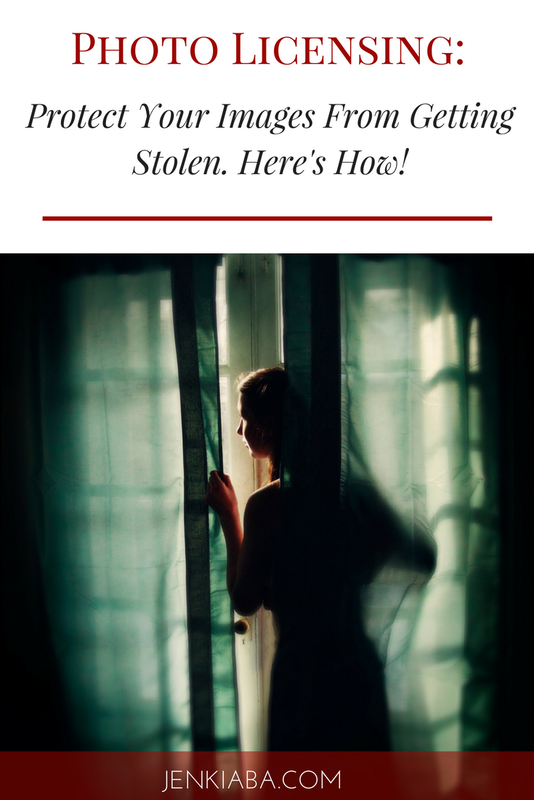 Protect Your Images from Getting Stolen. Here's how! A horrible but true reality we all have to face as photographers is that sometimes our images get stolen. The first time that happened to me I got a little dizzy and thought I would pass out. Afraid, confused, and angry, I didn't know where to turn or what to do to have my stolen work taken down. Let's just say I sent a lot of angry messages before the perpetrator finally got sick of me and decided to take my work down. Did you know what back in 2016, a website dedicated to fighting image theft found that 64% of photographers had had their images used without permission? By the law of averages, if you haven't already had an image stolen, it means it could only be a matter of time before you do. Ok, I'm not saying that to scare you. In fact I hope that you never go through the experience of seeing an image of yours used without your permission. The moment you create a photograph (or any piece of art) you inherently own the copyright to it. 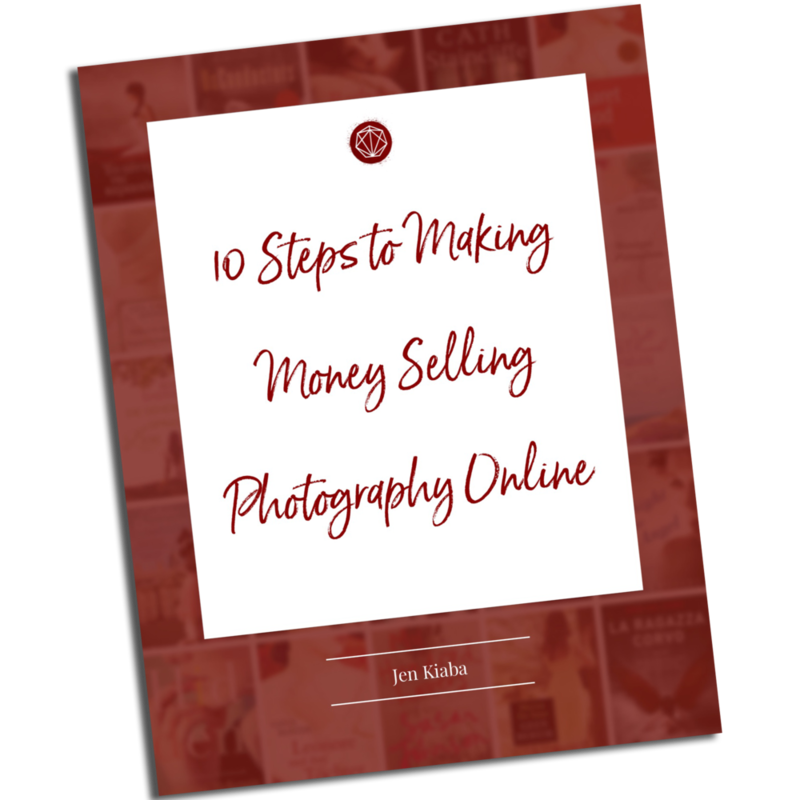 There are a few exceptions to this: for example if you're hired to take photographs and the contractual agreement says your client owns the copyright (I recommend against this - unless you are being paid very very well for it. If you're trespassing in any way while taking a photograph, your copyright could be at risk as well. But in most other instances, the moment you release the shutter on your camera you are the holder of a copyright. Now most lawyers and art consultants will say that you still need to take this a step further and register your copyright. Basically what she is saying is that if your work is ever stolen or used improperly, having registered your copyright gives you some serious layers of legal protection. While you're not required to place a '© All Rights Reserved,' notice by your work (at least not in the United States since 1989), it does alert viewers that your images are not available for public usage. If you decide to go down the registration path, the easiest way to do so is through the Electronic Copyright Office. Copyright Law currently does not allow for the registration of published and unpublished photographs together in the same application. So that means you will need to batch register your published photographs and your unpublished ones in another. Yes, this means more fees. Popular Photography recommends registering your images in smaller batches "to prevent a court from equalizing (reducing) damages based upon the total number of images in a given registration." The cost per registration in the United States is anywhere between $35 and $55 per batch. Personally I am on the fence about using watermarks. I've seen people crop them out, or even use software to remove them. In fact, Google researchers were even able to make an algorithm to delete watermarks from photos! Just kidding - they quickly shared their findings with stock photo companies to help them understand the vulnerabilities of watermarking. Stock companies quickly responded by randomizing their watermarks. So what the heck is randomized computerized watermarking? Basically, randomized computerized watermarking is a digital technique where the watermarks that are generated are unique sizes and shapes. For example, Shutterstock varies their watermarks just slightly on every single image (using a computerized output) so as to trick software from being able to learn and remove the water mark wholesale. While I have not seen any service come about for photography businesses to do the same for their images, you could conceivably duplicate this effort with a little bit of manual tweaking in Photoshop. Whether you try to "randomize" your watermarks on your images, adding your digital signature in the data of your image is also a smart step to "digitally watermark" your work. Programs like Photoshop and Lightroom easily let you update the Metadata and the IPTC data in your images to let people know who the image is by, and what its copyright status is. There is also a digital technique called "shrink wrapping" your photos, but this requires a little bit of knowing how use HTML code and is not a technique I have tried. I have a free account with Pixy.com, where I am able to upload my portfolio images and Pixy's matching service will scour the web to find instances of my images being used. Once it helped me find a book cover that had been published without the proper licensed being obtained. Other times it has helped me see where people might have misunderstood copyright and used my images on their blog or site without permission. In those cases, a politely worded letter asking them to take my image down has always sufficed. Pixsy has varying levels of service. While you can always use their free account, you can't send any takedown notices through their service. With their $19/month service you can send 20 DMCA takedown notices within that time period, for $39/month you can send 300 and for $89/month you can send 900. So far I have found that their free account works great as a tool to help me monitor my portfolio. For any work not represented by an agency and finds their work being used in a commercial setting without permission, they will deploy a legal team on your behalf to help you recover licensing fees. However they will also take a normal commission fee of 50%, similar to how an agency would operate if they had licensed your image legally from the get-go. It's always smart to be proactive about protecting your work. In the digital age of photography, it's easier than ever for our work to be misused - even if it is accidentally. Knowing your rights, and registering your copyright is a great first step. Even with the ability to have your watermark cropped or removed, there are tactics that you can employ to help protect your photography. Finally, using a digital service like Pixsy can help you monitor how and where your images are being used on the internet, and can give you some steps towards removing (or getting paid!) for those images! Let me know: did you ever have any of your images stolen? If so, what did you do to solve the situation? Here's to safety in a digital world!